Liz figures out how to make her money go farther after George makes her return a dress. Originally aired on October 16, 1948. This is episode 14 of My Favorite Husband. Baxter is convinced that he can win the award for being the best dressed man at the annual Easter Parade - if only he had the right clothes. Originally aired on April 9, 1944. This is episode 13 of The Life of Riley. Bob Hope welcomes special guests, Betty Grable and Jackie Coogan. 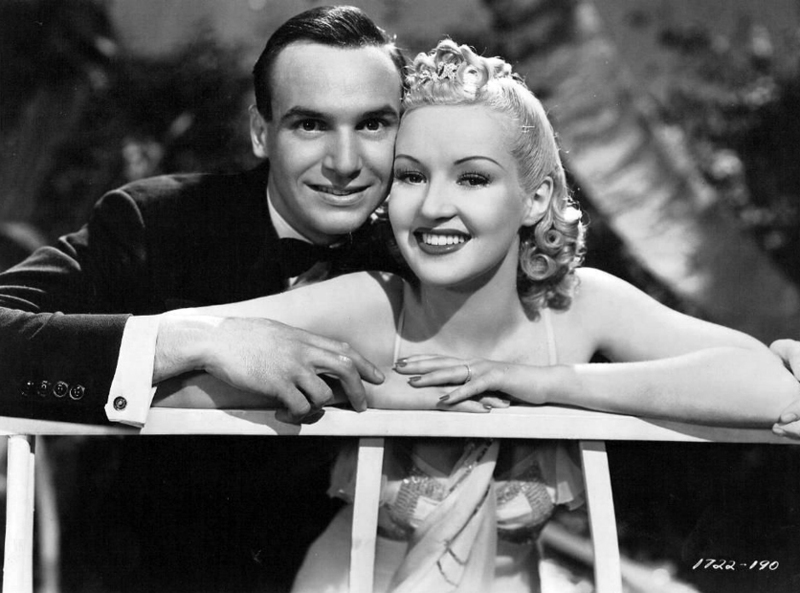 Picture of Jackie Coogan and Betty Grable, 1938. Most popular pin-up girl of the 1940's, Betty Grable, in the iconic photo from Life magazine. Originally aired on April 11, 1939. This is episode 29 of The Pepsodent Show starring Bob Hope. George finds out that Liz is in the play and finds a clever way to surprise her. Originally aired on October 9, 1948. This is episode 13 of My Favorite Husband.